Could you tell us a little bit about your career at Safety Technology and your professional background? Graduating with a degree in design I initially began working with plastic injection moulding before moving into the fire safety sector with STI in 2004. 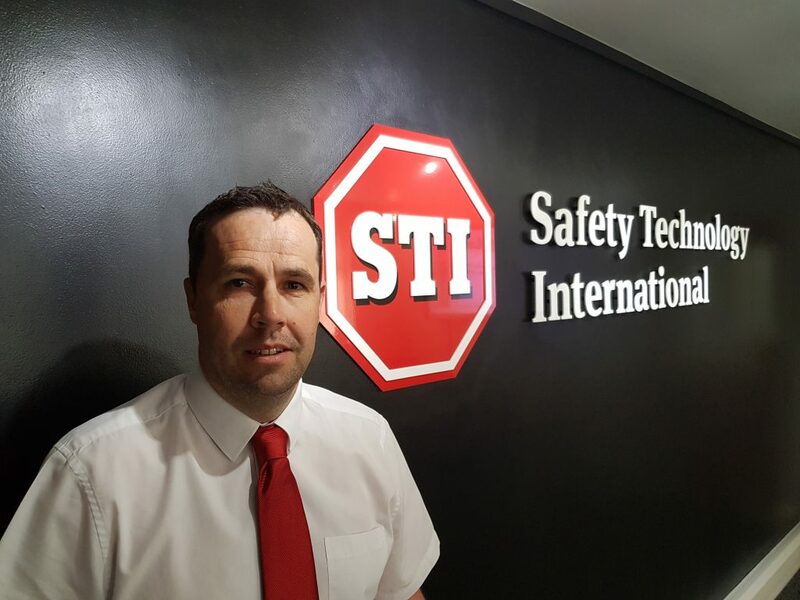 14 years on from joining STI as Production Manager I have performed a variety of roles for the company; Research and Development Manager, EMEA Sales Manager and now my current position of Business Development Manager – I truly live and breathe Safety Technology. A lot has changed during my time here, I have witnessed the industry transition from a reactive mindset to a proactive one – a decade ago we would receive calls from people wanting to reduce their number of false alarms, whereas those calls are now from people wanting to put the correct things in place to prevent a false alarm before it has even happened. Education has been a key part of my career, I believe it is vital to educate the world about the detrimental effects of false fire alarms; the drain on public resources, the downtime and costs involved. Fire Safety should not be an afterthought but instead a fundamental action. What is your vision for the future of the business? Looking ahead I firmly believe STI will remain the market leaders in the fight against false alarms, unwanted disruption and theft. With continued growth and production, STI stands as the global brand for quality life safety products, making the environment we live in safer for everyone. STI will aim to further educate people on the issue of fire safety, maintaining a proactive attitude in the prevention of false fire alarms. In the future we hope to ensure all Fire Safety Regulations are the best they can possibly be, with all fire systems running as efficiently as they can – STI will endeavour to keep beating the drum regarding fire safety. In your opinion, what do you think is the biggest challenge facing the fire safety sector today? The biggest challenge facing the fire sector is ignorance – not from those within the industry, but those outside of it and in positions of power. 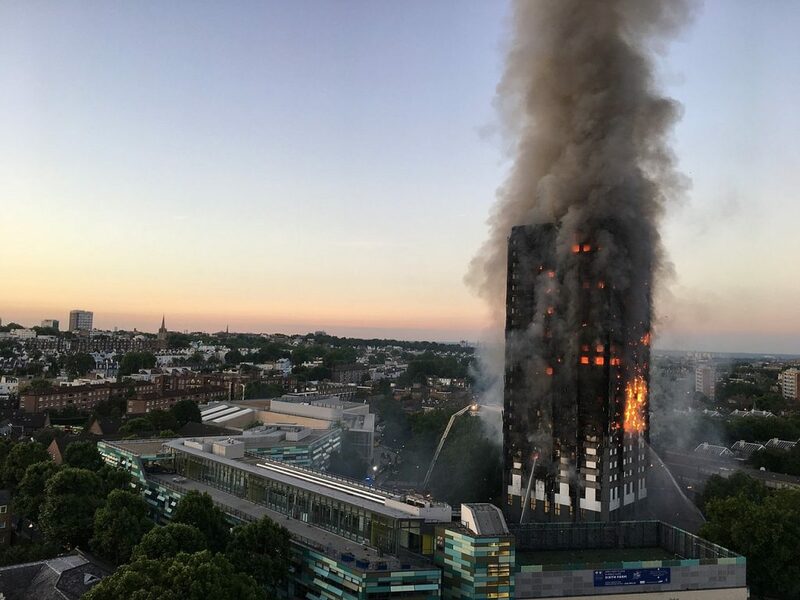 If you look at the Grenfell Tower tragedy and think; why did this happen? Decisions, especially those relating to fire safety, should not be made on price. We are often told by Fire Officers that people are playing lip service with rules and regulations, complacency has been allowed to creep in and the challenge now is to eradicate it. The industry must keep fire safety at the forefront of peoples mind, especially post-Grenfell. Do you foresee any major changes in the fire sector over the next five years? I think over the next five years we will see an increasing amount of importance placed upon the prevention of false fire alarms – an issue which currently costs the UK an estimated £1 billion a year. Every false fire alarm is costly and disruptive to establishments and an avoidable amount of money is wasted and unnecessary strain is put on the emergency services, as a result of false fire alarm call outs. A false alarm causes inconvenient evacuations, affecting routine by causing disruption amongst staff, visitors and the public. The recent revision to the BS5839-1:2017 recommends in section 20.2B), that: “All MCPs should be fitted with a protective cover, which is moved to gain access to the frangible elements.” The update to the British Standard not only reinforces the work of STI but I believe it will help to drastically reduce the number of false fire alarms across the UK. What is Safety Technology doing to maximise production and supply chain capabilities? 18 months ago we made the short move across Worcestershire from Redditch to a new building in Bromsgrove. The move to a larger facility reflected the company’s impressive growth within the EMEA and was strongly supported by our parent company in Michigan, USA. 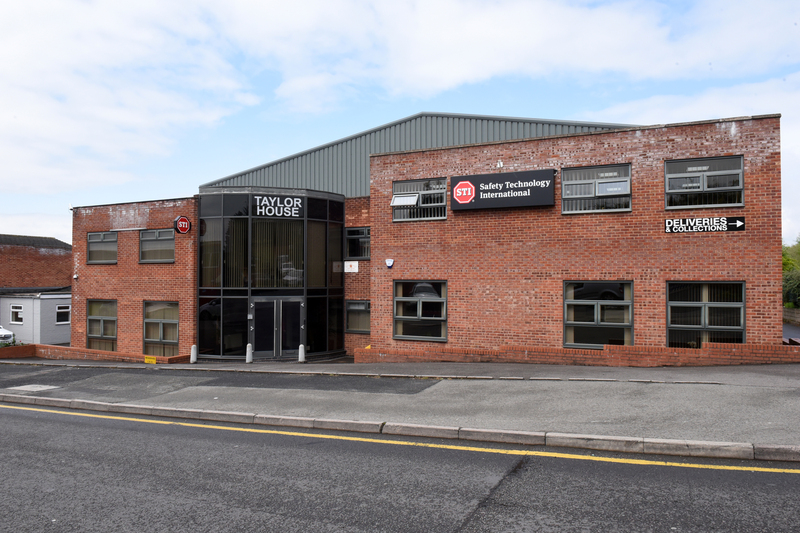 Our new building, Taylor House, named after the company’s founder, Jack Taylor, incorporates bigger offices, production and warehouse facilities, all under one roof. The growth of the company is reflected in the size of the building which has enabled us to maximise production and supply chain capabilities. Since the move in October 2016, Taylor House has undergone various modifications, including; an expanded R&D department, additional production space and a state of the art media suite. This has allowed staff to continue the great and efficient work which STI are so proud to provide. Is there any new technology in the pipeline? We are committed to innovating and producing new technology that helps make homes, businesses and workplaces around the world safe, smart and secure. Our extensive range of fire and safety products continues to evolve with the latest addition to the ReSet Call Point line – offering a completely global solution. The UL listed Global ReSet features a versatile mounting plate which fits to US, European, double-gang and single-gang mounting box, allowing for a quick and easy installation. The Global ReSet mimics the feel of breaking glass without the need to replace broken parts, providing the benefits and environmental advantages of a resettable operating element. 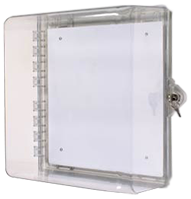 A real glass appearance maintains operator deterrence. When activated, the visible warning flag drops into view and is quickly reset with provided key for immediate re-use. Not content with allowing our current product line to stand still we have recently made some exciting changes to the highly effective Exit Stopper. Alongside the audible warning alarm, all models will be supplied with a visual flashing beacon. Making its debut at FIREX in 2017, StopperCam, is a new and incredibly exciting product in the pipeline adding a completely new dimension to our Stopper series. STI have developed a technology to meet the demands for hard evidence in the fight against false alarms and unwanted disruption. StopperCam is activated when the cover of a call point protector is lifted, thus creating an event, this is then linked to a local camera that is set up to monitor the vulnerable device. Once activated, hard evidence is captured through the use of an app, providing the proof required for prosecution. Moving with the times STI is once again providing a solution for a challenge. Our products have been installed across the globe from the Empire State Building to the Dubai Snowdome, the Cutty Sark to the Nou Camp – there have been many interesting and rewarding projects. Our work to enhance the fire safety and security of one of the world’s most famous transport systems – the London Underground – is a particularly impressive project. 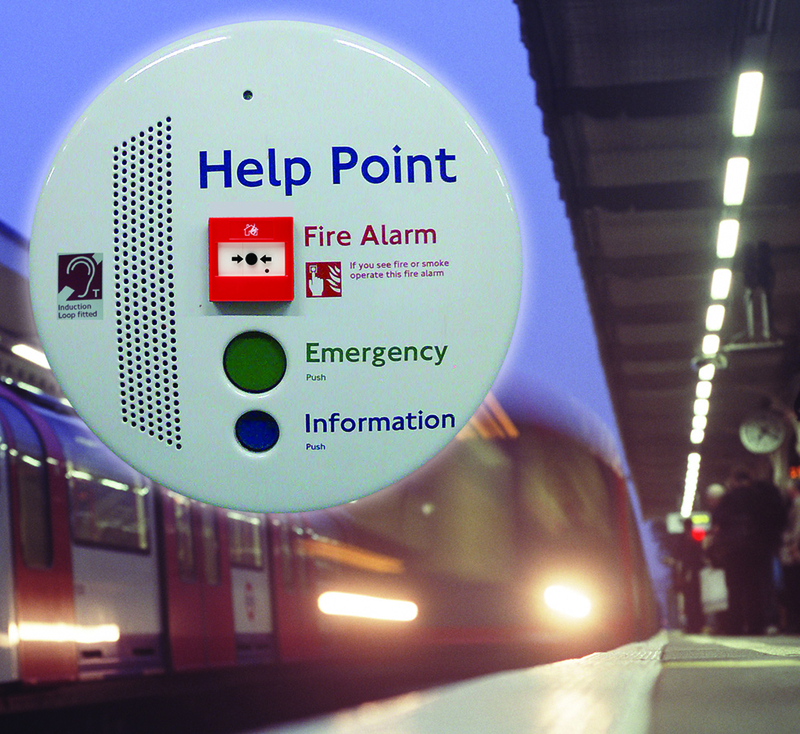 Working closely with London Underground Limited we were able to provide an answer for their indoor and outdoor Help Points challenge – they required an IP65 solution using the standard indoor STI EN54-11 ReSet Call Point, ensuring it would fit into the Help Point but would still provide vital weatherproof protection. We developed an entirely new back box for our ReSet ensuring that it could accommodate all aspects of the existing cabling installations required within the London Underground remit. This had pretty significant consequences across the whole network – improving the systems that protect the millions of Underground users and LUL employees. The project acted as a launch platform for our ReSet call point line, allowing it to gain the confidence of the industry as an effective and reliable product. What do you think sets Safety Technology apart from its competitors? Family owned and operated for over 35 years, the STI story began with a challenge made by a school administrator who wanted to stop false fire alarms. Our founder, Jack Taylor, used his expertise in security systems to invent the original Stopper pull station protector. Today, STI is the market leader in the manufacturing of fire, safety and security products that help deter false alarms, prevent theft and minimise damage to building equipment. With hundreds of innovative products our entire team works just as hard to make you a satisfied customer as we do to make the world a safer place, one product at a time. I believe this philosophy of creating a solution to any challenge is one that sets us apart from our competitors and enables STI to protect the things that protect you.